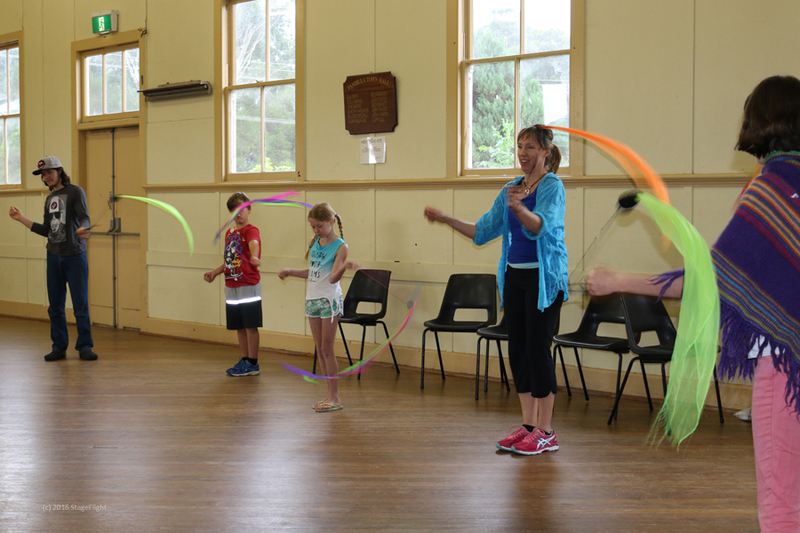 StageFlight is a registered Creative Kids provider that offers Drama classes at Pambula Town Hall. 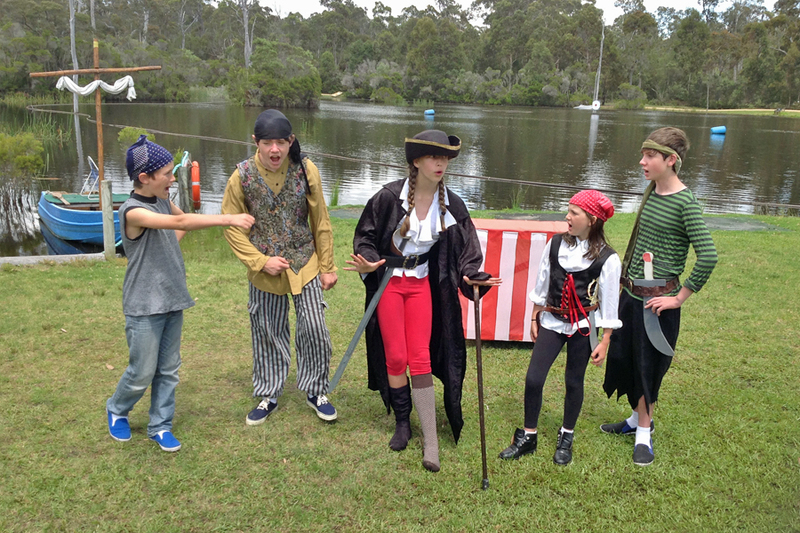 Build your confidence, voice, movement and team skills through theatre games, character work and story telling. Opportunities to perform for family and the public during the year! These are held on an ad-hoc basis with professional guest tutors, often during school holidays. These will be advertised via our website and Facebook page and enrolled students will also receive an email. If you have an audition, school presentation, speech, performance or monologue coming up or want to learn or practise particular skills including relaxation, vocal and body language techniques, work on a show reel or portfolio for entry into tertiary courses, we offer you customised individual tuition. HSC Drama/English Students welcome. Cost: $50 per hour ($25 per half hour) inc GST. One-off or multiple sessions available. Please contact us to talk about what you need and to arrange a tutorial time. 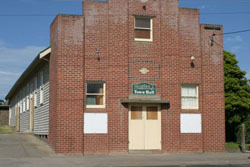 After School classes are held at Pambula Town Hall, 13 Quondola Street Pambula (just north of the Pambula roundabout). Classes are limited to a minimum of 6 students and a maximum of 12 students. If a class does not reach the minimum number of students, we may offer students the opportunity to join another class. You can help by sharing our class details with friends! Students can cross into the next level class at 10, 12 or 16 years depending on confidence/skill levels, or to stay with friends/siblings in the same class. Please contact us to discuss which class would best suit your child if you are unsure. Classes run for 8 sessions per term. Enrolments from new students are accepted in Terms 1 and 4 only, unless you have previous drama experience. This is a class for students with little or no drama experience. 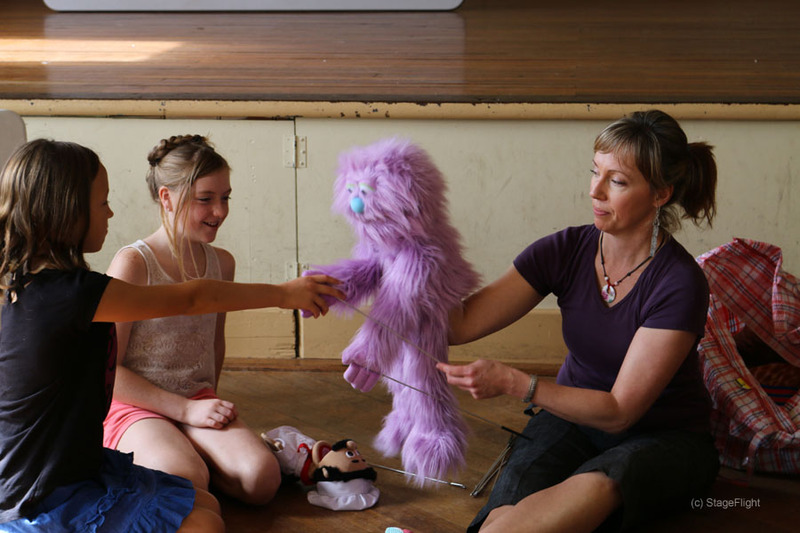 Through drama games we will explore storytelling and use basic breathing and vocal exercises to help students discover their voice. Working in pairs or small groups, students will learn how to work with others to perform a short scene. 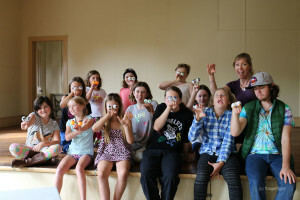 This is also a class for students with little or no drama experience. 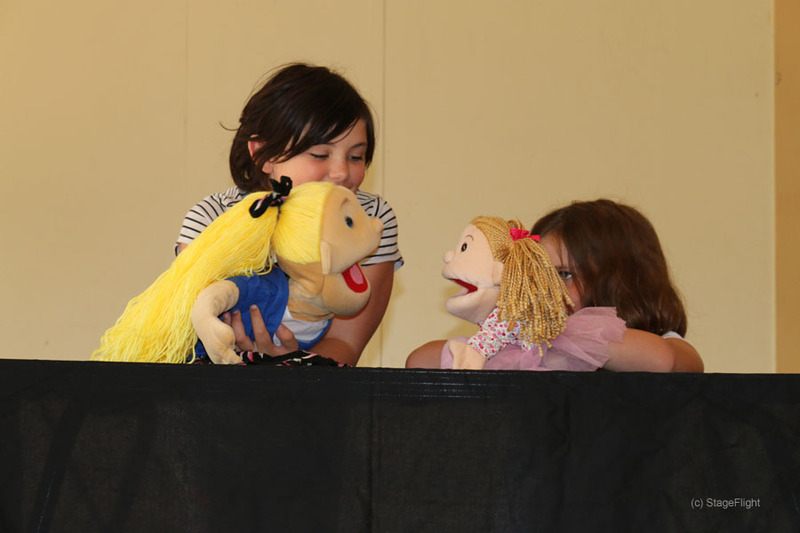 Through drama games we will explore character and storytelling and continue with breathing and vocal exercises to help students project their voice without effort. Working in small groups, students will work with others to perform a two or three person scene. Students can explore mime, puppetry, mask, costume or other drama forms to develop characters. 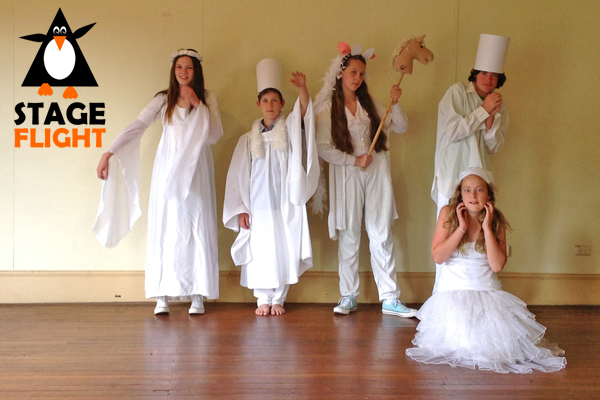 This class is designed to “fill the gap” for those secondary students who love drama but can’t take it as an elective until Year 9. 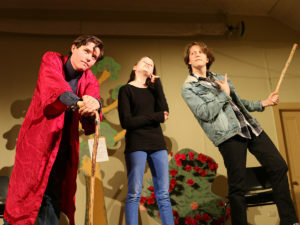 As well as improvisation, breathing, relaxation and vocal techniques, students will work on existing scripts as well as devise their own scenes and research characters and settings. 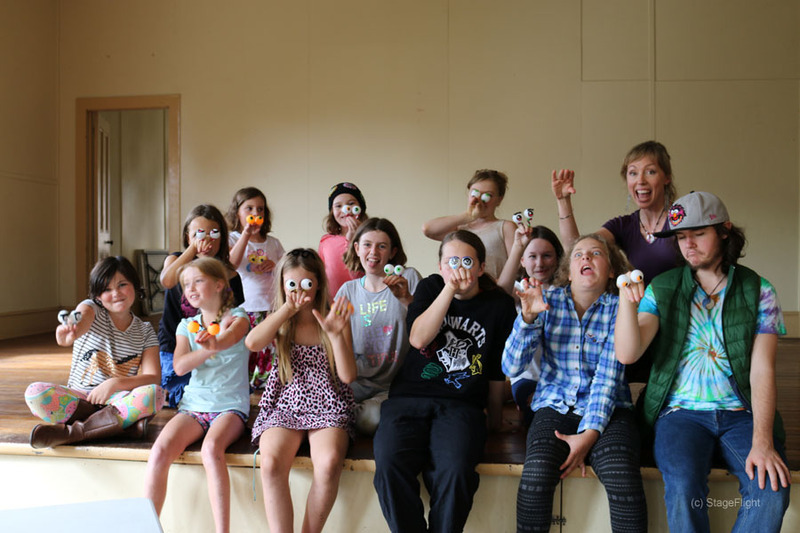 This class is targeted at students with some drama experience already as well as those taking drama in senior years who would like extra tuition. 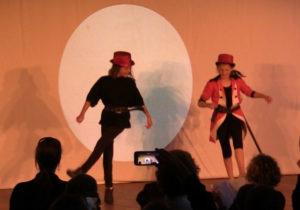 In addition to relaxation, breathing and vocal techniques we will do short scene and monologue work to hone performance and audition skills and introduce students to different acting styles and techniques, and accents. See also our Individual Tuition sessions above. 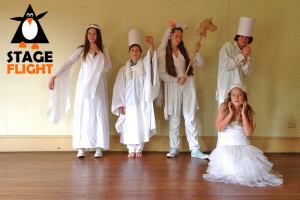 The ensemble will rehearse and present a season of public performances of a major play in term 3. An information session and auditions will be held later in term 1. You do not need to be in a weekly class already to audition for the ensemble, but if you have no drama experience already, we may recommend you also do a weekly class to bring your skills up to performance level. Students not selected as cast members or understudies will be invited to apply for crew positions (lighting/sound/stage crew/costume/assistant director/stage manager/front of house/understudy). Not all students will be required at every session but they will be expected to attend all sessions they are scheduled for. If you apply for the ensemble you and your family will need to be 100% committed to get you to rehearsals, learn lines and be at all performances. New students are welcome to try out the first class for free. If you continue, term fees will apply. 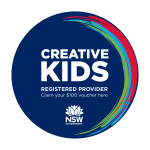 If you have applied for a Creative Kids voucher, you can use it pay for part of your fees. You will need to email us the details of the exact name on voucher, DOB, voucher number and amount to be used for StageFlight classes. You will receive an email invoice at the end of the 1st week of classes for fees due, less any Creative Kids voucher reimbursements received. Weekly Class Fees are due by the end of the 2nd week of classes. Performance Ensemble Fees are due 1 week after cast and crew have been notified of their selection. 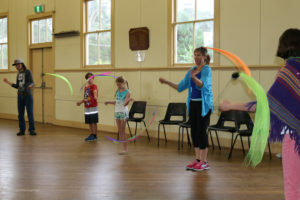 Weekly after school classes in 2019 cost $110 per term. Late fees of $15 per 15 minutes may be payable if children are not collected within 15 minutes of the end of class. Our contact number during class time only is 0438 957160. Leave a message if the phone is switched to silent during class. Please note new bank account details!!! You must include student surname or our invoice number as a reference, or we won’t know who the payment is from! 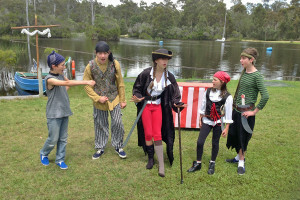 You can also pay by cheque to “StageFlight” PO Box 94 Pambula 2549. Please do not send cash with students. Name(s) and contact detail(s) for all authorised carers/collectors MUST be listed on the enrolment form. We will communicate with you and invoice you for fees due via email. Please ensure you check your emails regularly. Enrolment forms must be completed before the student is accepted into class to ensure we have accurate medical, allergy information and parent/carer contact details in case of emergency. Comfortable clothes and closed-in flat shoes with soft soles (no thongs, sandals or heels) OR bare feet (socks alone are too slippery). Bring a filled water bottle and make sure you have had a healthy snack before class if you are coming straight from school – this is really important as drama games are quite physical and if you are hungry and thirsty straight after school or work you will quickly run out of energy! (please avoid sticky lollies or sugary drinks). From time to time, the tutor may ask you to bring some props or costume items from home or ask you to do some research before the next class. Details will be sent home via email – please ensure you read emails regularly. What NOT to bring Pets, smoking, drug and alcohol consumption are not permitted anywhere or any time within or around Pambula Town Hall. Mobile phones and other devices can be brought in bags in case students need to contact parents before/after class, but they are not permitted to be used during class unless specifically allowed by the tutor. If a student continues to use a device without permission during class, the tutor will ask the student to leave the device on the tutor’s table and to collect it at the end of class. If a student does not have a mobile phone but needs to call a parent urgently, the tutor will have a mobile phone available. Absences Please call, text or email the tutor if you know you are not coming to class. This is good manners, particularly if you want to become part of the theatre ensemble, so that the other actors and the director do not waste time waiting for you in rehearsals. Toilets are located behind the hall. Please go before class begins or let the tutor know if you need to be excused during class. Students under 16 are not permitted to leave the venue unless accompanied by a parent or authorised carer. (Name(s) and contact detail(s) for authorised carers MUST be listed on the enrolment form or notified to the tutor in writing. Parents and Other Family Members Parents/carers are welcome in our classroom, particularly when the students are coming to class for the first time. If your child is finding it difficult to settle into class without you and you need to leave, please discuss your child’s needs with the tutor. If you are waiting for your child’s class to finish, please wait quietly at the back of the classroom or wait in the Supper Room where there are chairs available. Wheelers Cafe is open late for coffee on a Tuesday if you need a late afternoon cuppa! We encourage families to attend class and/or major performances later in the year. StageFlight also offers separate classes for adults if you are interested. Unfortunately we cannot provide supervision for children other than those who are enrolled as students – siblings or friends of students must not be left in class without carer/parental supervision. Students under 16 are not permitted to leave the venue during or after class unless accompanied by a parent or authorised carer. Name(s) and contact detail(s) for authorised carers/collectors MUST be listed on the enrolment form or otherwise notified to the tutor in writing, and students must be informed about after-class collection arrangements. All tutors are required to have verified Working With Children Checks and induction training and parents/carers are provided with the details they need to verify tutors online at the NSW Office of the Children’s Guardian. We also welcome input from parents, carers and students on how we can improve our classes and policies to ensure a safe environment for our young people. If you have any concerns at any time please contact the Director. Attendance Certificate Your tutor keeps a record of class attendance. Students who attend an average of at least 6 classes per term, will receive an Attendance Certificate from StageFlight at the end of Term 4. Illness/Injury Please do not come to class if you are sick or injured. Many of our activities involve physical movement and you risk making your illness/injury worse or passing on your illness to others. Please email or text the tutor on 0438 957160 if you can’t come to class. Absences that are explained before class begins will not affect your attendance record. Photos, videos, sound recordings As a performing arts school, use of digital images/recordings are sometimes used in class or for marketing purposes. Please read our full terms and conditions for details and contact the Director if you have any concerns. If you are auditioning for roles at theatre companies or for film, we are happy to provide a reference based on your participation in class activities and performances. A solid attendance record at drama school will be one of the factors that can work in your favour. We are sometimes asked for recommendations for young actors for theatre/TV/film work and will contact parents/carers of young actors who we think might be suited to roles. We do not give out your contact details to agents – instead we will pass the agent’s details to parents/carers who can decide whether to proceed after doing appropriate checks as to the bona fides of the agent and the job in question. We take no responsibility for third party offers.